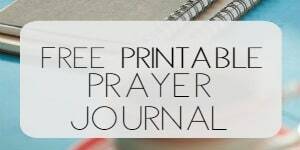 I’m excited to introduce to you the new Prayer Directory page on the blog today!! I can’t remember how long I’ve been writing prayers, but at the beginning of this year, I had the intention of formatting them into an ebook. Since I haven’t carved out the time to do that just yet, I wanted to place each post into a nice, organized directory format so that you can find your favorites easily, although I know many of you have certain ones bookmarked or pinned that speak specifically to your personal situations and circumstances. Consider this your go-to place for prayers for every day. Can I ask you a favor?If these prayers are something you would love to own in the form of a book, would you leave a comment on this post? And could I be so bold as to ask you what type of book you see, if any? Coffee table with beautiful photos or a prayer journal with a blank page after each prayer so you can write your own prayer or list prayer requests? Maybe a prayer devotional? I would so appreciate knowing your thoughts in more detail. 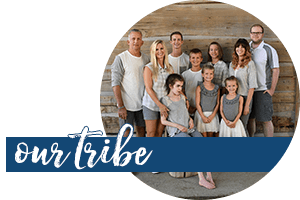 Check out the new Prayer Directory right here and then come back to this post to let me know what you think! I need your opinions! Hi Rachel, I love the new directory! You write beautiful prayers. I would love to have your prayers in a prayer journal or a devotional. I’m not big on ebooks. I’m kinda a bookworm 🙂 nothing better than the smell of a new book! I read through a few of your prayers and they are beautiful. Our ladies’ study tonight focused on prayer and this will be a wonderful reference for enhancing our prayers. While I love the prayer journal idea, I feel the specific nature of each prayer might lend itself better to book form with a directory to guide readers to one which will meet their needs for that day. Thank you again for sharing your beautiful words. Many blessings! Your prayers are often just the words I need when I don’t have them. I have copied and printed out several of the prayers and keep in my little prayer journal. Having them so neatly organized here is wonderful! Thanks. An E-book with an option to have a hard copy would be super. I often am in the car waiting on kids and carry my prayer journal with me. Having a copy of the prayers to go where ever I am to pray would be nice. But having them organized here again is great for a quick search. Your words bless many, including me. Thanks again. Your prayers lead to more prayers. This concept would make a fabulous prayer journal. God bless you for sharing your conversations with God. Hi Rachel, I saw your tweet about checking out the prayer page and asking for feedback. I read two of the prayers: the morning prayer and the prayer for your husband. Both are lovely and I’d love to see them in the form of an ebook that I could access on my phone as a resource for quick guidance when my heart longs to pray. I’m looking forward to looking around your site and reading more! I like the idea of a prayer journal or devotional, or listed under category like you have now, sort of like a bible promise book. While I like the idea of a beautiful coffee table book, right now with a three and four year old boys, the coffee table book is not something I could put to use right now. Thank you for putting the prayers together in this format. I like the idea of a book of prayers. I would like to see it in a small, old traditional style prayer book. Thank you for all you share with us. I have not read many of your prayers, but the ones i have are fantastic and piercing….often putting into words what i am feeling and thinking. I love the idea of a prayer devotional with scriptures that coincide. Even a cute little book to place in a purse or be easily transported. Thank you for sharing your gift that God has given you. He is using it to bless many. 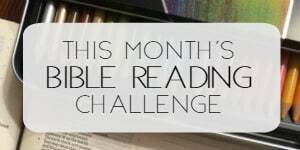 My mind perked up at “Prayer Journal.” I love that…your beautiful prayers as a prompt. walk on the prayer journey. Spiral notebook, so it makes it easier to write in? Thank you so much! I absolutely love your prayers, and LOVE the idea of them being in a book to have near by. Most every time I read one of your prayers, it leads to more and more praying. I love talking with God, and when I am at a loss for words, your prayers just seem to say the right things. I would love a paperback/hard copy of the prayers…I like some other am not very handy with the ebooks. =) Thanks so much for sharing them with us. You are such a blessing. Prayer journal would be my vote, Rachel. This is absolutely amazing. Thank you so much-this is a tremendous blessing. I think “a prayer journal with a blank page after each prayer so you can write your own prayer or list prayer requests” would be wonderful. I like to have these specific types of prayers for my family and I like to journal about the way God has answered prayers. I think it is an excellent idea. I hope you get to fulfill this plan for a prayer devotional. The Directory is a great idea, too, and I know it will be an excellent resource for everyone. I think a prayer book…would work as an ebook. Thanks for sharing your gift. 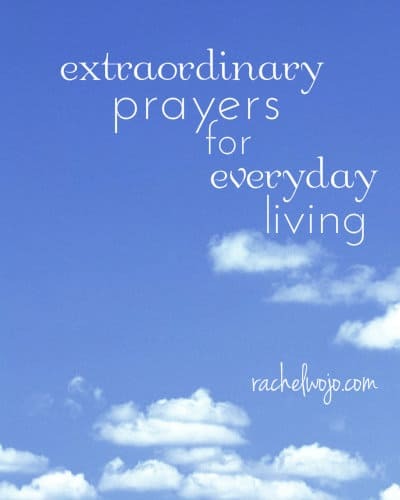 Rachel, I love the directory…somehow, I thought there were more prayers that I have read and cherished! I love the idea of a journal because I love to write in my journals! Can’t wait to have your prayers in a book format! Many times I would come home from a long day and your prayer became my own…touching my heart and giving words to my thoughts and feelings! Thanks for sharing your beautiful gift! God bless! Ps. I am disappointed to say I missed the show tonight. Tara has been in Washington and one of our nurses for Andrew quit. I have learned a deeper appreciation for the round the clock care she provides for him in the absence of nursing. Hope it was a great show! Prayers for Taylor and the Wojo family! Dear Rachel, I have been following you for a while. I love the idea of your prayer dictionary page. Some of your prayers have really helped me with some difficult days at work. I also like the idea of a journal as well. It would help me focus. thank you, Mary, for letting me know.